At Shilpa Shetty’s Diwali do, Neha was photographed in an Arpita Mehta dress. Her choice of accessories for the evening included a Bottega Veneta clutch and pair of Fizzy Goblet jootis. At Ekta Kapoor’s party, Neha was photographed in a Manish Malhotra number. The mom-to-be looked radiant. 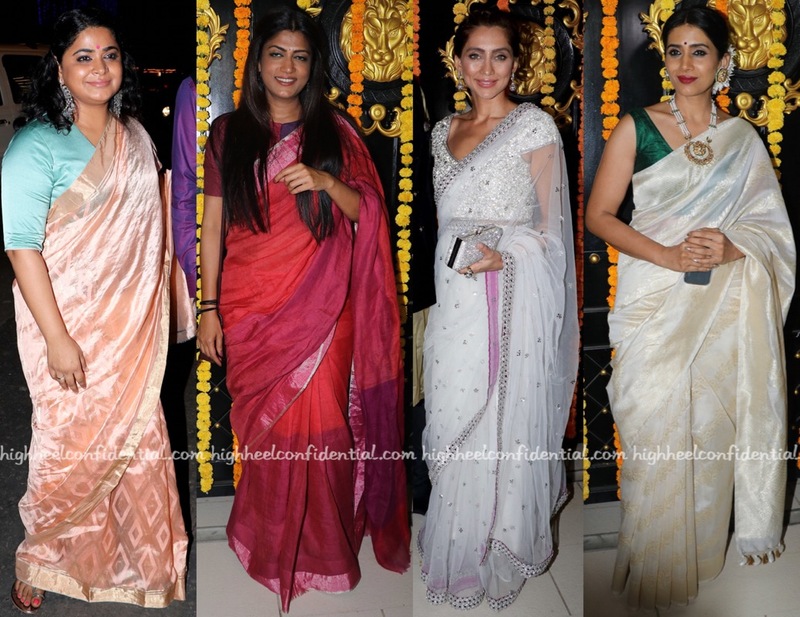 While at a Diwali party at Ekta’s, these ladies (including the host herself) were photographed wearing lehengas. Be it Karishma’s Falguni and Shane Peacock, Ekta’s sparkly one or Anita’s Aarti Mahtani fusion number, none really had our vote. We weren’t fans of either of these looks! The ladies can do better. It was an Anamika Khanna for Shilpa while at a recent soirée. Earrings from Rare Heritage, a Chanel clutch and sparkly pumps rounded out her look. Among all the lehengas at the party, the separates sure stood out. The outfit is tricky but one that worked on Shilpa; she looked good. 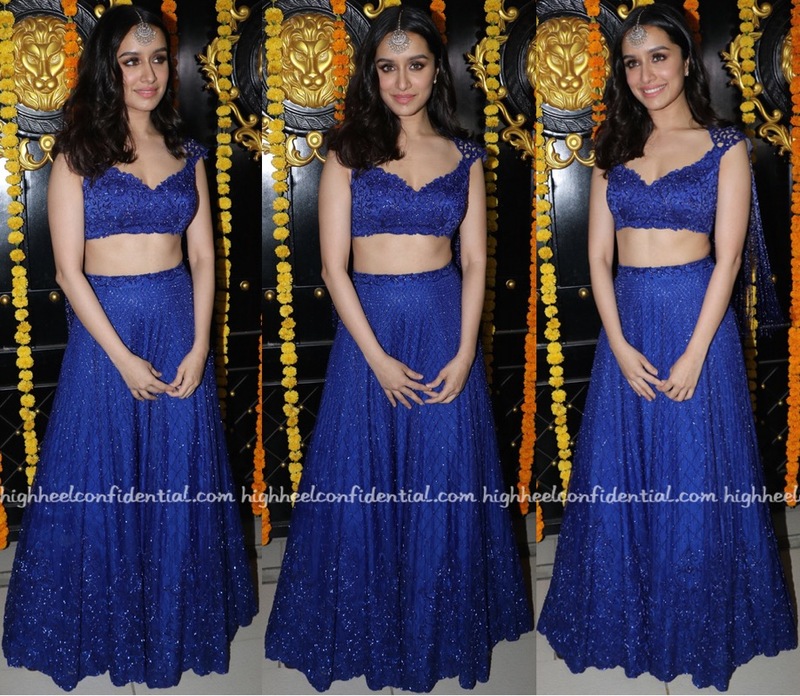 Wearing a Koëcsh lehenga that featured a cape-blouse, Shraddha attended a Diwali party in Mumbai last evening. A mang-teeka, smokey eyes and coral lip-color rounded out her look well.